I think MSN are working on an update to their email and messenger, I've been trying to sign in with my msn messenger but it seems the service is down! I tried to enter my email as well but the same thing apply! I called my friend and asked her if she is able to sign in but it seems she is facing the same problem, I remember long time ago that I have faced this problem and after that I noticed new futures added to msn email, and messenger. 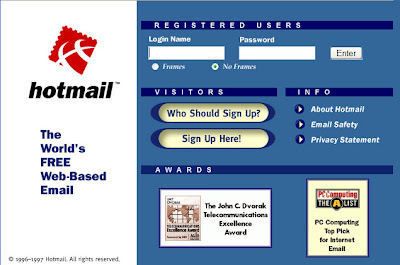 I've been using my email since 1997 and noticed how Microsoft changed their logo, the first logo was simple without the word msn as it first lunched. and so they have 5 different logos until now. I remembered other softwares like (freetel, and Iphone4) but they are no longer available on the Internet! freetel was a cool software with full duplex connectivity . While Iphone was a video chat software.